A new personalised cushion perfect for Father's Day. A great way to capture all those special memories of your childhood. Not only do Tillyanna cushions make great presents, they are the perfect home accessory. From country cottages to contemporary homes, their classic timeless designs are always a focus point of the room and a great talking point with guests. 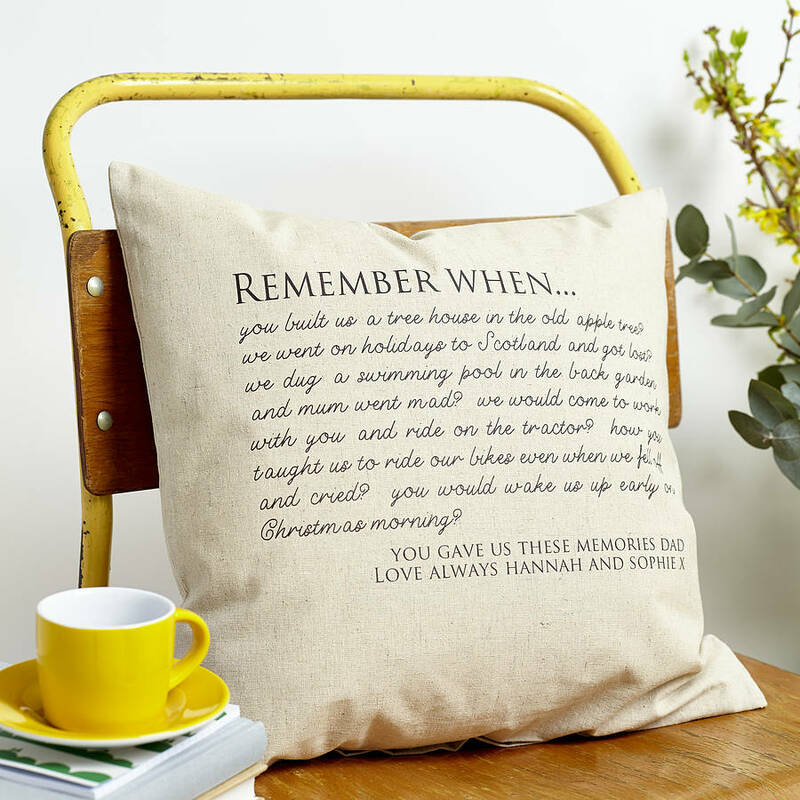 This cushion can be personalised with up to 6 memories. You can choose your own special message to be printed on the bottom of the text. We will automatically print 'REMEMBER WHEN....' on the top of the cushion. We are able to provide customised cushions within very short lead times as corporate gifts, please contact the seller for more information. All products are printed and designed by Tillyanna from their Welsh studio and are all made to order. This product is dispatched to you by TILLYANNA.